This year the Honorary Award winner was not one, but four students. The Foundation’s Board agreed that all four students’ projects were exceptionally good and all deserved the Honorary Award, as it was not fair to choose one over the other. Therefore, it was decided, that both projects should be honored. In the first award winning Bachelor project, Michael Jacobsen and Kristian Hartmann Bruhn, Ship Officer Students at SIMAC, worked with energy optimization on board MV Sea Challenger, a Jack-up vessel specially designed for installing offshore wind turbines. They had access to performance data from MV Sea Challenger though Blue INNO+ project WP 6 performance and monitoring. They found that MV Sea Challenger during Jack up periods produce more power than the vessel could consume due to size of the generators. This discrepancy led them to think of alternatives. Inspired by the Electrical driven Ferry project on Aeroe they decided to investigate whether retrofitting of batteries could be a solution during jack up periods. The work was awarded with the grade 12. In the second award winning Master thesis, Henrik Mikkelsen and Mads L. Steffensen, students at DTU Mechanical Engineering, defined on their own initiative an ambitious project with the goal of testing the accuracy of full scale CFD simulations for the prediction of the performance of ship design. Their studies were performed abroad at DNV-GL in Oslo, Norway, and through this contact also attended sea trials in Japan. Their CFD simulations were performed meticulously and involved large scale parallel simulations of self-propulsion of the ship in both model and full scale. The propeller was modelled in full detail allowing it to rotate relative to the ship hull. They carefully validated every aspect of the physical model and the results clearly demonstrate that the CFD simulations of the actual ship (full scale) are in better agreement with the sea trials than the current state-of-the-art results obtained using towing tank experiments. Hence, their work has the potential of changing the design procedure of ships, and therefore present a significant contribution to the maritime sector. The thesis received the highest grade, 12. Bruno Friis, who has just completed his professional education (marine engineer) at MARTEC. Bruno Friis' final project was based on the optimization of Man Diesel & Turbo Brazil's calculation model for calculating the costs associated with services. The project excelled by not only working with technical solutions, but also by placing a large focus on economics and management. Sam Jacobsen from Aarhus Maskinmesterskole, who in connection with his final undergraduate internship aboard a faroese trawler wondered about the occurring ice deposits on the cooling system's evaporators and therefore decided to try to find a solution to the problem. The project shows a good theoretical knowledge, a good overview, and an analytical approach coupled with the practical challenges. Christian Simon Nielsen, DTU Mekanik, who in his master's thesis developed a method for evaluating ships' reserve force in bad weather. The method is presented in a single-use tool, based on a ship's main dimensions and area of operation estimating the increased wave resistance. The tool allows users to quickly gain an overview of a ship maneuverability in waves and thus implement the necessary measures early in the design phase. The project has been the subject of great interest and support of the industry, which only underlines the need for such a tool. The Danish Society for Naval Architcture and Marine Engineering Foundation Honorary Scholarship of DKK 25,000 was awarded to Lars Binder and Alexsander Westergaard, Maskinmesterskolen København. The Danish Society for Naval Architcture and Marine Engineering Foundation Honorary Scholarship 2013 was awarded to Thor Peter Andersen and Lasse Normann de Boer. Number two from the left sholarship winner Thor Peter Andersen. Right of Thor is associate Professor Poul Andersen and associate Professor Harry Bingham. Left of Thor is member is member of the board of The Danish Society for Naval Architcture and Marine Engineering Foundation associate Professor Ulrik Dam Nielsen. On behalf of DTU, Stud. Eng. Thor Peter Andersen was nominated for the Honorary Scholarship. DTU justified their nomination with: "Thor has all the way through his studies opted for the full range of marine-related courses offered at DTU Mechanical Engineering and he is now enrolled in the Nordic Master in Maritime Engineering. In addition, Thor is currently chairman of the maritime fraternity Nul-Kryds, where he performs a large and committed work. Thor receiving the Honorary Scholarship will be very meritorious." 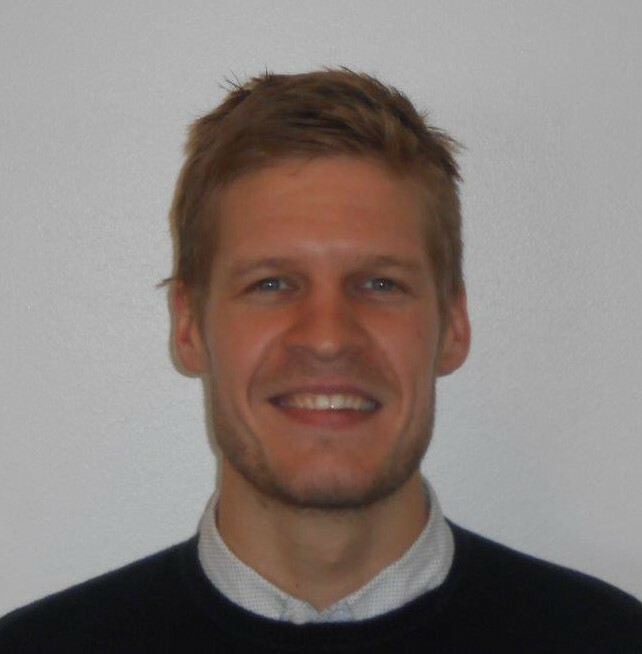 Ulrik Dam Nielsen nominated Lasse with the following wording: "Through his studies of marine engineering and related tasks, Lasse has shown skill and dedication in the maritime area. In the fall of 2013 in his capacity as acting chairman of the student union Nul-Kryds, Lasse coordinated and represented DTU with a study trip to Singapore for marine engineering students. Lasse has fully earned the Danish Society for Naval Architecture and Marine Engineering Foundation's Honorary Scholarshi." The Danish Socity for Naval Architecture and Marine Engineering Foundation Honorary Scholarship has been awarded to Pablo Esquivel de Pablo and Kasper Føns Bach for their commitment and hard work. The Danish Socity for Naval Architecture and Marine Engineering Foundation Honorary Scholarship was award to Kasper Føns Bach, DTU, in the middle of the picture.To the left is member of the board Ulrik Dam Nielsen and member of theboard and tutor Hans Otto Kristensen. 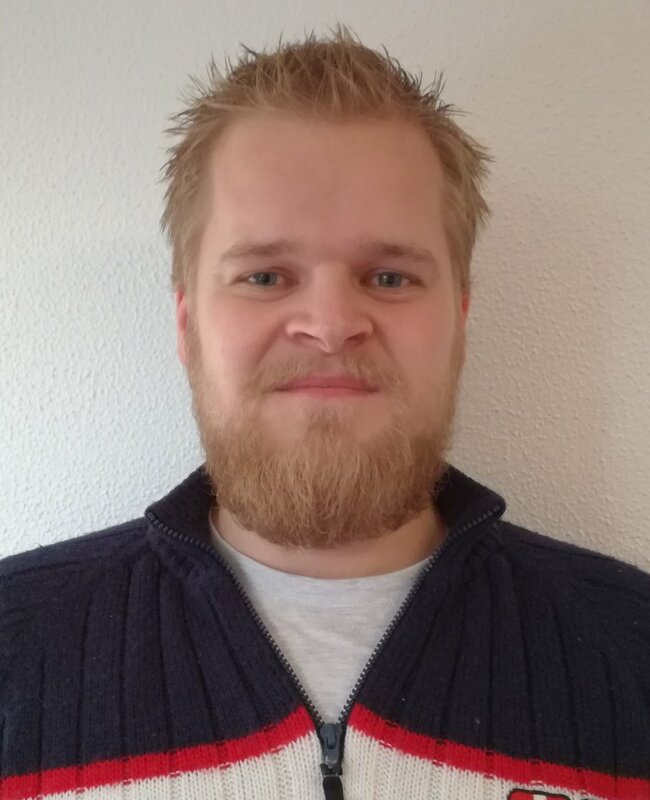 Kasper's diploma thesis was drawing up a proposal for the determination of environmental performance for vessels of a ship owner, in this case Unifeeder. This environmental performance assessment (in terms of energy consumption and CO2 emissions per transport unit) should be carried out aimed at the so-called Ship Efficiency Management Plans (SEEMP), which from 2013 will be a requirement for existing ships. During the work Kasper showed great independence and resourcefulness and prepared an advanced Excel spreadsheet which in a very illustrative manner gave the company a good overview of the environmental performance of some selected vessels in the company's total fleet. Kasper's work was rewarded with a grade 10 and high praise. Both I and those of my colleagues who have taught Kasper agree that he deserves The Danish Socity for Naval Architecture and Marine Engineering Foundation Honorary Scholarship which is why we nominate him. Kaper also has a friendly and positive character and is popular among students and teachers. The reason for receiving the Honorary Scholarship is that Pablo Esquivel de Pablo has helped to promote maritime education and training provided by FVM. This is done through lectures, where Pablo has participated in his capacity as the DTU first students at the 'Nordic Master in Maritime Engineering' and as a result of his involvement in Nul-Kryds. Also mentionalble is Pablos work in connection with the recent Tech Event at FORCE Technology, where close to 100 students attended the event. The Danish Society for Naval Architecture and Marine Engineering Foundation's Honorary Scholarship was awarded to Adrian Coman and Dennis Ingham for their commitment and hard work. To the right Dennis Ingham, DTU, together with the Chairman, Claus Kruse, of The Danish Society for Naval Architecture and Marine Engineering Foundation. Dennis Ingham has just started with his thesis concerning estimation of a ship's relative rate against the waves. The analysis, which is the basis for the estimation, is based on the response measurements made on the ship, and the intention is to perform the analysis while the vessel is sailing in an operational situation. If it is possible to estimate a ship's relative direction to the waves, this information will be a valuable input for decision support systems, which advises the crew around the course and speed for safety and fuel consumption. Dennis Ingham er netop i gang med sit kandidatspeciale omhandlende estimering af et skibs relative kurs i forhold til bølger. Aalysen, som ligger til grund for estimeringen, baseres på responsmålinger foretaget på skibet, og det er hensigten at kunne foretage analysen, mens skibet gør fart i en operationel situation. Såfremt det er muligt at estimere et skibs relative retning til bølgerne, vil denne information være et værdifuldt input til beslutningsstøttesystemer, som rådgiver skibets besætning omkring kurs og fart med henblik på sikkerhed og brændstofforbrug. Dennis Ingham performs his thesis at the Section of Coastal, Maritime and Structural Engineering (SKK) at DTU Mechanical Engineering with associate Professor Ulrik Dam Nielsen as supervisor. the thesis period runs from the beginning of October, 2011, to March, 2012. Stud. Eng. Adrian Coman, DTU with supervisor Senior Researcher Hans Otto Kristensen to the left and Section Manager, professor Jørgen Juncher Jensen to the right. Adrian Coman is writing his MSc thesis, where he will examine the possibility of replacing certain parts of steel construction in Ro-Ro ships' superstructures of composite structures in order to achieve weight savings. This will cause a deplacementreduction which ultimately results in a reduction of propulsion. The project is done with Christian Berggreen and Hans Otto Kristensen, both DTU Mechanical Engineering, as supervisors. Skibsteknisk Selskabs Fond har i efteråret 2010 tildelt hæderslegat til Aleksander Hamdan og Morten Hansen, begge studerende ved DTU. Billedet forestiller, fra venstre mod højre: Professor Jørgen Juncher Jensen, Sektion for Skibe, Kyster og Konstruktioner, DTU Mekanik, Aleksander Hamdan og Morten Hansen, legatmodtagere, og Hans Otto Kristensen, generalsekretær for Skibsteknisk Selskab. Aleksander Hamdan er diplomingeniørstuderende og arbejder med projektet: Propeller med stor diameter. I projektet skal han undersøge muligheden for, at et givet skib kan have en propeller med større diameter end normalt og derved spare fremdrivningseffekt. Morten Hansen er ligeledes diplomingeniørstuderende og arbejder med projektet: Udvikling af et Con-Ro fragtskib. I projektet undersøger han de designmæssige muligheder for en kombination af et container- og Ro-ro-skib, hvorved man muligvis kan udnytte begge skibstypers lasteevne optimalt og reducere projektets energi-effektivitets-design-indeks. Billedet forestiller fra venstre: Professor Jørgen Juncher Jensen, DTU og legatmodtagere, studerende Kim Nørby Christensen, Jesper Andreas Olsen og Lars Normann Madsen Jensen. Kim Nørby Christensen er studerende under ordningen Master i Maritim Teknologi. I sit afgangsprojekt arbejder han med analyse af ben-struktur for et jack-up-fartøj, som er konstrueret til brug ved installation af havvindmøller. Lars Normann Madsen Jensen og Jesper Andreas Olsen er begge diplomingeniørstuderende og arbejder i deres afgangsprojekt med optimering af forskibet for en bulk-carrier for reduceret brændolieforbrug og bedre søegenskaber. In the spring 2009 the Danish Society for Naval Architecture and Marine Engineering Foundation's Honorary Scholarship arwarded three marine engineer students with each DKK 6,000. The threeDTU-students who recieved the Danish Society for Naval Architecture and Marine Engineering Foundation's Honorary Scholarship. From the right Janus Joensen, Martin Frederik Rasmussen, Ingrid Marie Vincent Andersen and associate Profefssor Poul Andersen. In the spring of 2009, he Danish Society for Naval Architecture and Marine Engineering Foundation's Honorary Scholarship awarded three marine engineering students. Ingrid Marie Vincent Andersen is engaged in the development of environmental strategy in a company on the basis of a description of the environmental problems and possible solutions for the company. The main objective of the project, carried out in cooperation with the shipping company DFDS, has been the establishment of a long-term environmental strategy where possible environmental measures are identified and compared with the cost, thus achieving an economic picture of the expected environmental initiatives. Janus Joensen and Martin Frederik Rasmussen engaged in their project with the interaction between the ship and the propeller and the importance of being able to calculate currents accurately with a working propeller and thus predict co-current and suction coefficients and the rotative efficiency. The project is conducted in cooperation with the firm FLOWTECH in Gothenburg, which has developed the intended used calculation program. In the spring 2008 the Danish Society for Naval Architecture and Marine Engineering Foundation's Honorary Scholarship arwarded three marine engineer students with each DKK 6,000. From the left: Lars Peter Løvendahl Raun, Rasmus Damsgaard Kjeldsen and Jesper Rosenkrantz Andersen, all Honorary Scholarship recipients, and associate Professor Poul Andersen, MEK, DTU. Lars Peter Raun and Jesper R. Andersen are in th middle of their final assignment on optimization of ship lines, while Rasmus Kjeldsen graduated as a Bachelor of Engineering with exam work on jacket structure as the foundation for offshore wind turbines. In the autumn 2008 the Danish Society for Naval Architecture and Marine Engineering Foundation's Honorary Scholarship arwarded a student with DKK 6,000. From the left: censor Jens U. Römeling, Honorary Scholarship recipient Christian Klimt Nielsen, supervisor and professor Preben Terndrup Pedersen and co-supervisor and professor Jørgen Juncher Jensen. In the autumn of 2008 the Danish Society for Naval Architecture and Marine Engineering Foundation's Honorary Scholarship was award to stud. Eng. Christian Klimt Nielsen. As a student he has been very focused on education in the marine technical field, and with his thesis: "Wave Induced Horizontal Bending and torsional Response of Container Ships" distinguished himself by developing a practical calculation method to analyze voltage level, accelerations and rates for container ships and bulk carriers subjected to unbalanced dynamic slamming loads. After defending his thesis successfully, he is now a engineer. In the spring 2007 the Danish Society for Naval Architecture and Marine Engineering Foundation awarded the Honorary Scholarship to two DTU students. Each received DKK 6,000. Sunvard Joensen and Peter Lindegård Nielsen, both studnets of DTU, have received the Danish Society for Naval Architecture and Marine Engineering Foundation Honorary Scholarship with each DKK 6,000. Both have completed most marine engineering subjects and courses with very good results, and at the time of the Honorary Scholarship Sunvard Joensen is working on his thesis, "Stokatiske bølgebelastninger og bølgeinducerede bevægelser på flydende offshore vindmøller bestemt ved First Order Reliability Method (FORM)", to his supervisors great satisfaction. 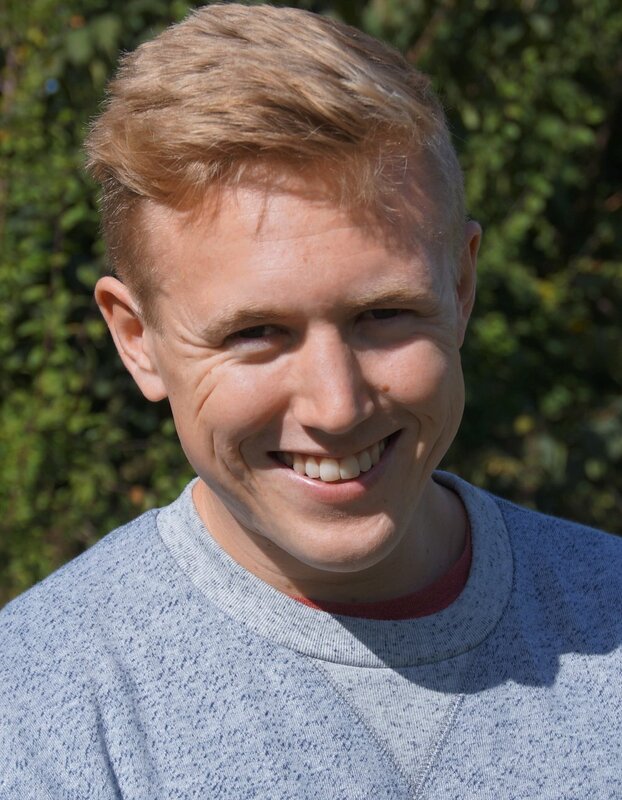 In connection with his studies Peter Lindegård Nielsen has had sailing practice and has also studied one semester at the University of Newcastle. He is working on his thesis, "Numerical modeling of stern currents" in a business partnership with Ødegaard and Danneskiold-Samsøe. In the autumn 2007 the Danish Society for Naval Architecture and Marine Engineering Foundation awarded the Honorary Scholarship to three DTU students. Each received DKK 6,000. From the left: Bo Lydersen, Karsten Frederiksen, Keun Woo Shin, all recipients of the Honorary Scholarship, and associate Professor Poul Andersen, MEK, DTU. Bo Lydersen and Karsten Frederiksen are finishing their exam work "Effektivitet af bovpropeller”, while Keun Woo Shin has started as PhD-student at DTU after his completion of his exam work ”Ship-Tug Interaction”. The Danish Society for Naval Architecture and Marine Engineering Foundation was in 2006 awarded to Stephanie and Jens Smiedemann. From left Jens Smiedemann, Stephanie Enz and associate Professor Poul Andersen, DTU. The Danish Society for Naval Architecture and Marine Engineering Foundation was awarded to Stephanie Enz and Jens Smiedemann. Both are completing their written asignements, Stephanie on the subject "Udbredelse af støj og vibrationer i skibe" and Jens med Emnet: "Maximalt bølge-induceret bøjningsmoment i skibe bestemt ved First Order Reliability Method (FORM)".